The judgment in Andrews & Ors v Messer Beg Ltd  EWHC 911 (Ch) contains an interesting discussion on a barrister’s duty to advise on the funding of litigation. The Part 20 claimant, having had the particulars of claim struck out, was given the opportunity to amend the particulars of claim against a QC. Having done so the second particulars were struck out. The case also illustrates the importance of clarity in pleading allegations of negligence. It gives guidance as to what would need to be pleaded. It is significant that, after this second attempt, the part 20 claimant gave up their attempt to join the QC into the proceedings. The claimants bring an action against their former solicitors alleging negligence in their pursuit of a claim in negligence against a bank. The solicitors, in turn, issued Part 20 proceedings against the QC that advised in the action. The QC issued an application to strike out the Part 20 claim and for summary judgment. At an earlier hearing the court found that the particulars disclosed no properly argued claim against the QC and should be struck out. However the Part 20 claim was not struck out, the solicitors were given an opportunity to attempt to “plead a properly arguable claim”. Once the now particulars were served the QC made a second application to strike out the claim on the grounds that they disclosed no reasonable grounds for bringing the action. Mr Stephen Jourdan QC, sitting as a High Court Judge, found that the amended Particulars disclosed no reasonable basis for the Part 20 proceedings. “43 I therefore consider it appropriate to strike out the amended particulars of claim as disclosing no properly arguable case for these brief reasons: first, the amended particulars of claim plead a mirror duty on Mr Lowe generally to advise on funding if RWP is liable to advise on funding. That, I am satisfied, and to a large extent is now conceded, is not properly arguable as a matter of law. 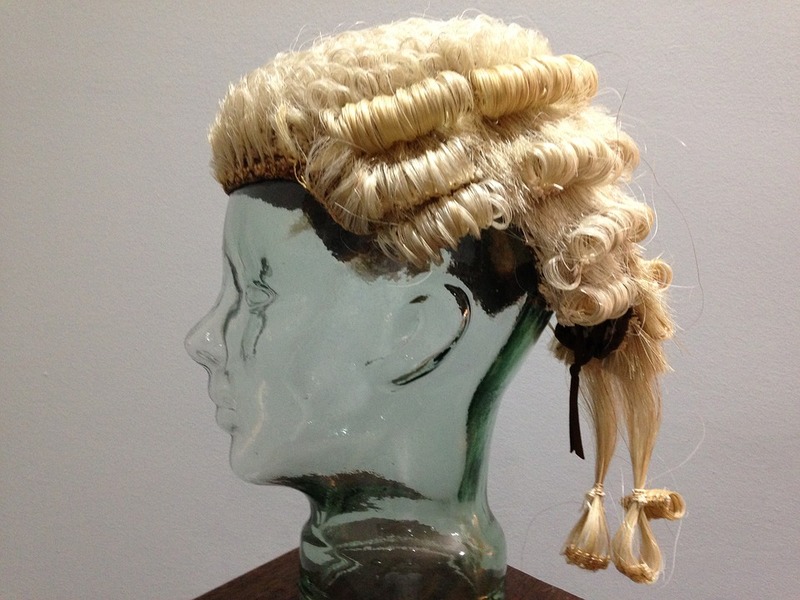 A barrister does not have the same duties as a litigation solicitor to advise generally on funding of litigation. RWP therefore cannot simply allege that Mr Lowe had a co-extensive duty of care, which is what the amended particulars of claim in substance do. 44 Second, what may, and I emphasise “may”, be a properly pleadable case based on a voluntary assumption of a duty to advise, as identified in the course of argument, is not pleaded adequately, and what component facts or parts of an adequate pleading are present are obscured by the existing allegations…”. “48 The third main question that was raised before me was whether it was arguable that Mr Lowe was in breach of any duty of care by not advising the claimants in different terms. Given that I have held that the particulars of claim should be struck out on the basis that the pleaded case does not fairly disclose the case that RWP now pursues against Mr Lowe and does plead a case that cannot succeed, this issue does not strictly arise. RWP’s case, as it emerged in argument, is that, because Mr Lowe did involve himself in the process of giving advice to claimants or would-be claimants, or both, if the claimants establish, as against RWP, that RWP were in breach of their duty to advise, it necessarily follows that Mr Lowe was also in breach of his duty to the claimants. There is no distinction therefore on RWP’s case between the duty that RWP owed to the claimants to advise them on funding and the duty that Mr Lowe assumed. Whether or not Mr Lowe was negligent and in breach of any such duty will depend, in my judgment, in part on exactly how extensive his duty to advise is, as pleaded against him, partly on his responsibility as the barrister instructed by a firm of litigation solicitors and partly on the facts relating to funding that Mr Lowe either knew or should have known. (2) the respects in which the advice given by Mr Lowe in respect of funding is alleged to have been negligently wrong and/or additional or different advice should have been given by Mr Lowe. Mr Stewart submitted that the New PAC does not plead any of those matters adequately, and as a result Mr Lowe does not know the case he is supposed to meet. He argued that the reason that the New PAC does not adequately plead those matters is not because Mr Pooles and Mr Bacon are unable to plead a professional negligence claim. Rather, it is because if they did plead those matters adequately it would then be obvious that there is no basis for a claim by the Claimants against Mr Lowe. He described the New PAC as setting out what he referred to as a “blancmange” of facts, followed by some very general allegations of the duties that the facts gave rise to and alleged breaches of those duties. He said that a pleader would only adopt this approach if they had a bad case. He emphasised that there was no allegation that Mr Lowe knew or should have known about the availability of alternative methods of funding the claim. He said that any advice about funding that Mr Lowe gave was given to RWP not to the Claimants, pointing out that Fancourt J. said in paragraph 28 of his judgment that the advice given by Mr Lowe to Mrs Messer after the Moneybox interview “was clearly advice given to Mrs Messer about how best to promote the scheme”. (b) The second procedural point is that the Defendant, despite being given every opportunity, has failed to articulate any coherent pleaded basis upon which Mr Lowe is responsible for the strategy. This is plainly linked to the first point but it is notable that the Defendant has eschewed any attempt to identify: (i) Precisely what knowledge it is alleged Mr Lowe as a competent barrister should have had but did not have; (ii) Precisely what facts and matters Mr Lowe either knew or should have known which should have caused him to advise that an alternative funding strategy be adopted; (iii) Precisely what advice it is alleged that Mr Lowe gave which was negligent. Mr Pooles took me through the New PAC and asked me to read the Particulars of Claim, Defence and the other documents attached to the New Additional Particulars of Claim, which I have done. He submitted that the New PAC made clear the case that Mr Lowe has to meet and gave Mr Lowe sufficient information he needed to prepare his defence. He said it was clear from Mr Stewart’s skeleton argument that Mr Lowe did understand the case against him. The case in essence is that Mr Lowe knew the funding strategy proposed by RWP, endorsed it, and assisted in its implementation. If, as the Claimants allege but RWP denies, the advice to use that funding strategy was negligent, then Mr Lowe was just as much responsible for that negligent advice as RWP, having promoted that strategy. The facts pleaded show that Mr Lowe became the team leader advising on putting together the claim, including the funding strategy. He was involved in many aspects of the preparation of the claim, going far beyond the traditional role of counsel. If, however, further information was needed to enable Mr Lowe to understand the case, the appropriate application was for further information, not to strike out the pleading. He submitted that the facts here were very unusual – leading counsel advising on the funding of a proposed group action – and it would be wrong to determine whether leading counsel did owe a duty of care in those circumstances on assumed facts, bearing in mind the principle I have summarised in paragraph 23 above. He accepted that a barrister instructed by a solicitor would not ordinarily have any duty to advise in relation to the funding of the claim, unless specifically instructed to give such advice. He said, however, that if a barrister does give such advice, they assume a duty to use reasonable skill and care in giving it and that is what happened here. Having carefully reviewed the New PAC and the replies to the part 18 request in relation to it, I consider that the pleading can only fairly be read as alleging that, by giving a number of specific pieces of advice about funding, Mr Lowe assumed a general duty, similar to that owed by a solicitor, to advise in relation to the funding of the claim. There is no pleaded allegation that specific pieces of advice given by Mr Lowe were wrong and negligent in specific respects and that, absent that advice, but with correct advice from Mr Lowe, the Claimants would have acted differently. Rather, the allegation is that Mr Lowe, by giving the advice he did give in relation to funding, effectively assumed responsibility for considering how the action should be funded and advising on that, and in keeping that matter under review as the action progressed. It is alleged that he owed a continuing duty throughout the period of his retainer, from 7 May 2008 on, to advise on funding including the suitability and risks of the funding arrangement to be used by RWP, whether any alternative means of funding or pursuing the litigation should be sought or recommended, and whether insurance protection against adverse costs should be sought or recommended. I do not consider that there is any realistic prospect of the court holding that, on the facts pleaded, Mr Lowe did assume a general duty of that kind to advise on funding. A solicitor is generally obliged to discuss with his client how the litigation is to be funded: Jackson & Powell on Professional Liability (8th ed) paragraph 11-182. Paragraph 34 of the Particulars of Claim alleges that it was an incident of RWP’s duty of care owed to the Claimants that RWP would (1) give the Claimants the best information possible about the likely overall cost of the matter both at the outset and as the matter progressed; and (2) discuss with the Claimants whether their potential liability for the Lenders’ costs might be covered by existing insurance or whether specially purchased insurance might be obtained. That is admitted in the Defence. A barrister instructed to act for a client by a solicitor in relation to actual or contemplated litigation, however, owes no duty to the client to advise on the funding of the claim, unless specifically instructed to advise on that issue, as Mr Pooles rightly accepted. If a barrister chooses to give advice in relation to the funding of the litigation, the barrister will owe a duty to use reasonable care in giving the specific advice given, but that does not mean that the barrister, by giving specific advice, assumes a continuing duty to keep the question of funding under review and to advise on it as and when required as the matter progresses. The facts pleaded in the New PAC, if proved, establish that Mr Lowe did give advice in relation to funding issues on a number of occasions. They do not, in my view, give any support at all to the allegation that he assumed a general duty to advise on funding. I do consider, however, that there is a realistic prospect of the court holding on the pleaded facts that Mr Lowe owed a duty to the Steering Committee, including Mr Andrews, and the members of the two action groups represented by the Steering Committee, and then to individuals who instructed RWP from October 2008, to ensure that the advice he did give in relation to funding was given with the reasonable skill and care to be expected of a competent barrister of his seniority. It may be, as Mr Stewart submitted, that the advice which was given to Mrs Messer prior to October 2008 is properly to be regarded as having been given to RWP alone, and not also to the Steering Committee and the members of the action groups who were represented by the Steering Committee. Fancourt J. clearly thought that was the case in respect of the advice given by Mr Lowe after the Money Box interview. However, I do not feel able to make that determination on a summary basis. Mr Lowe was originally instructed by RWP on behalf of the members of the two action groups, and I think there is a realistic prospect of the court determining that all the advice he gave subsequently is to be regarded as given to the members of those groups. It is clear that the First Claimant, Mr Andrews, was one of those members and other Claimants may also have been members of one of those groups. As to the position of borrowers who were not part of either of the action groups, and who first instructed Mr Lowe through RWP in October 2008 or subsequently, neither counsel cited any authorities on the law which applies for the purpose of determining when, to whom, and to what extent a duty of care will be treated as having been assumed by a professional. The issue is whether a barrister who settles documents concerning anticipated litigation, knowing that they will be shown by his instructing solicitor to prospective clients who are expected to instruct the barrister through the solicitor in relation to the litigation, owes a duty of care in respect of the contents of the documents to clients who instruct him as a result. Mr Stewart argued that no such duty was owed. I do not think that point is suitable for summary determination. I think it is an issue which should be decided after the facts have been found, applying the principle summarised in paragraph 23 above. (1) What advice it is alleged Mr Lowe should have given on that occasion. (2) The facts that Mr Lowe knew or should have known at the time which should have led him to give that advice. I think it probably also needs to be pleaded that if the wrong advice had not been given, but correct advice had been given, the Claimants would have acted differently to the way they did in a way which would have left them in a better position. In my view, it is clear from paragraph 49 of Fancourt J’s judgment that he expected any new pleading of the additional claim against Mr Lowe to give particulars of the respects in which specific advice given by Mr Lowe “was negligently wrong and/or additional or different advice should have been given on the basis of his responsibilities and state of knowledge or facts that he should have known at the time”. I agree with that, and I also think that probably, in order to plead a valid cause of action, it must be alleged that the failure to give correct advice influenced the decisions of the Claimants in a way which caused them loss and damage. The question then arises whether I should strike out the New PAC immediately, or whether I should first give RWP a yet further opportunity to amend them again in order to try and plead a valid cause of action against Mr Lowe. At the end of the hearing, I raised with counsel the question of what I should do if I considered the existing version of the New PAC did not adequately plead the claim against Mr Lowe. Mr Pooles submitted that I should in that case give RWP a further opportunity to plead the claim, while Mr Stewart argued that I should not. However, the point was only addressed briefly, and I will not make a final decision on it without allowing counsel to make further submissions on the handing down of this judgment. I would not in any event be willing to make a decision on the point without first seeing a draft of the amended version of the New PAC. “(1) I will provide this judgment in draft to counsel in the usual way and then allow 6 weeks before I hand it down. (2) In that time, RWP can decide if it does want to seek permission to amend the New PAC to plead allegations that specific advice given by Mr Lowe was negligent. If it does wish to do that, then a draft of the amended version of the New PAC must be served and sent to me within 4 weeks from the draft judgment being provided. Both parties subsequently stated that they were content with that course of action. On 1 April 2019, RWP’s solicitors wrote to me saying that RWP had chosen not to seek permission to amend. The parties were subsequently able to agree an order in the light of this judgment and I will make an order reflecting that agreement, striking out the additional claim.